BEITBRIDGE – Police have arrested Tinashe Dube (22) of New Stands in Beitbridge for allegedly assaulting and killing a fellow tout following differences over the sharing of money. The deceased tout Nkosana Ncube who operated from Chicken Inn Rank in the border town and one of Dube’s alleged accomplice identified as S’kara is still at large since the murder that occurred on a Saturday two weeks ago. 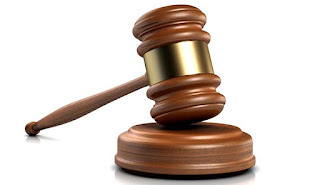 Dube appeared before Magistrate Langton Mukwengi at Beitbridge Magistrates’ Court last week facing murder charges and was remanded in custody to April 1, 2019. The incident occurred at around 1am. A fist fight broke out and the accused’s accomplice attacked the deceased with a broken beer bottle and inflicted a cut on the right arm. Dube then allegedly picked a concrete brick and a stone and hit the deceased once on the head. The deceased fell on the ground and died on the spot. The two suspects fled from the scene and a report was made to the Police.